Welcome in apartment Gamba. 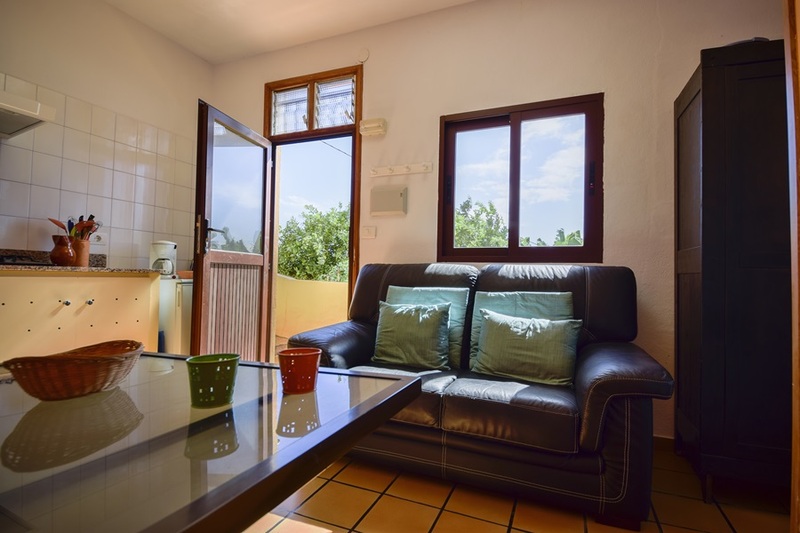 Apartamento “Gamba” (38m2), which is located in the annex-building, has got a small terrace beside the entrance-door, ideal to have breakfast in the morning sun. Gamba has a sitting/dining area with open kitchen, a separate bedroom with a large double-bed (160*200) and a bathroom (toilet, shower, washbasin, hair-dryer). 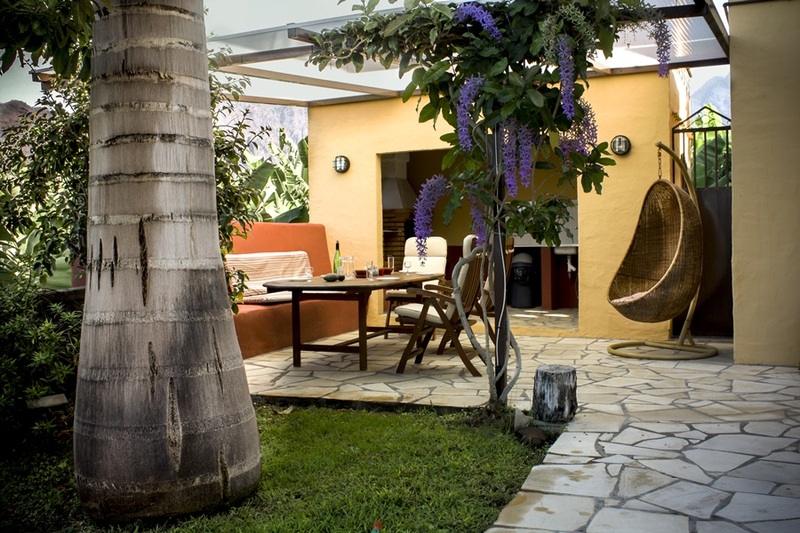 From the bedroom, stairs are descending into the garden, where under a palm tree you will find 2 deck-chairs, a table and a fixed-bench. 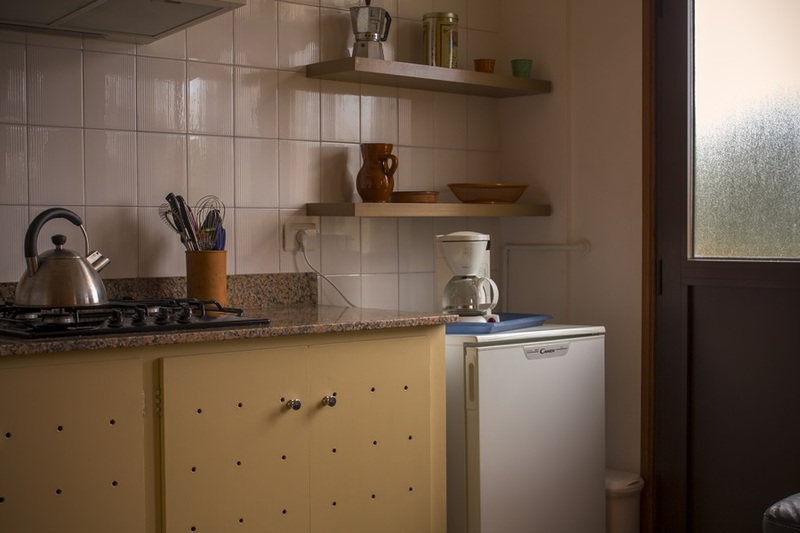 Equipment: Coffee-machine, toaster, electric citrus-juicer, safe, wireless internet, TV, and free use of a washing-machine. 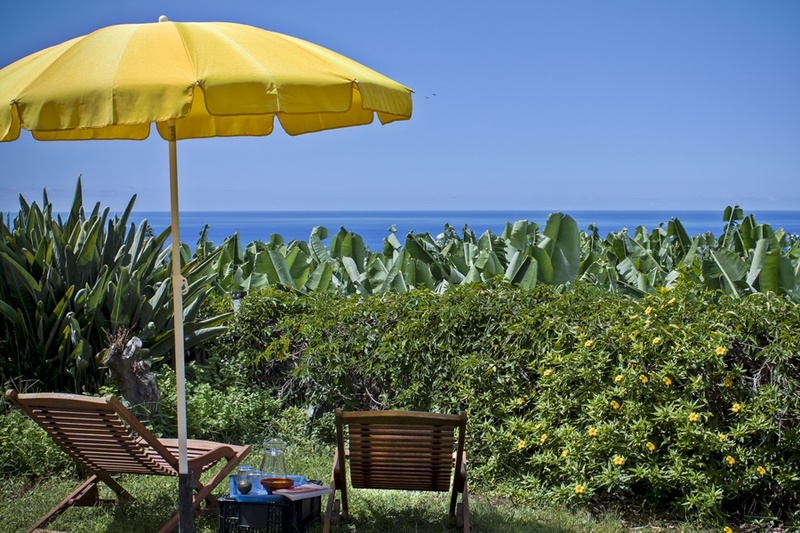 This free standing complex lies at 180M above sea level in a quiet area, surrounded by banana plantations. 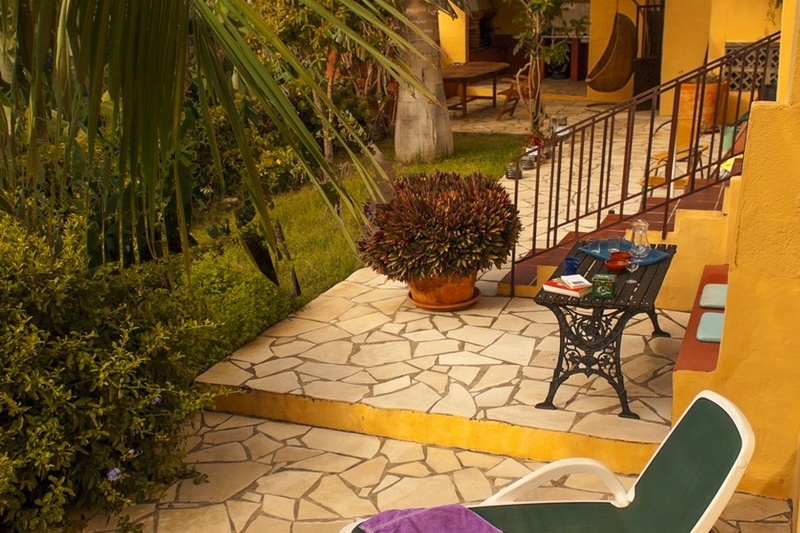 Finca La Cruz consists of 4 beautiful apartments in two buildings. 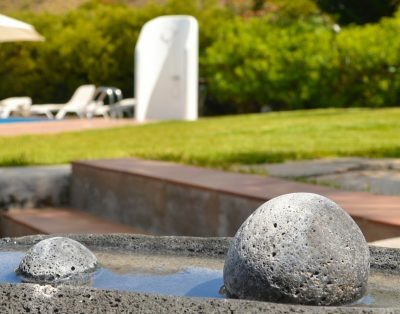 The entire complex consists of a main-building and an annexe-building with a shared garden and contains 4 holiday-apartments. 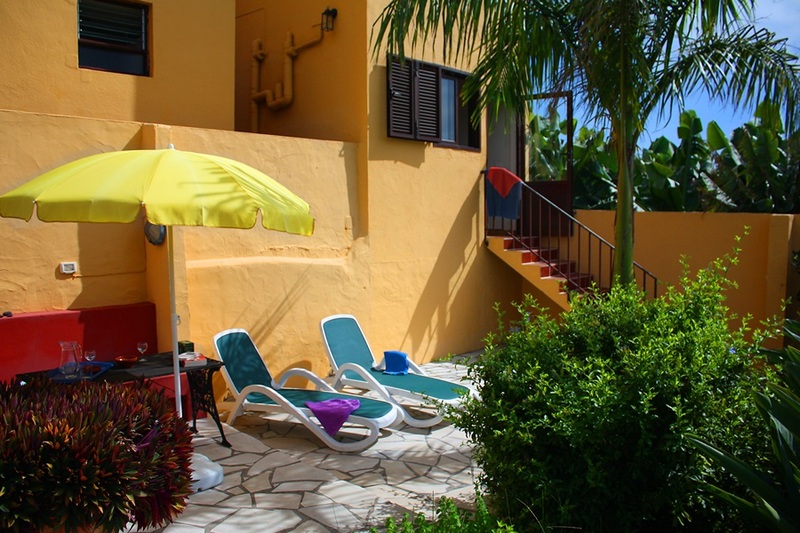 In the main-building you will find the holiday-apartments “loro” (up to 9 persons) and “Halcón” (2-4 persons). 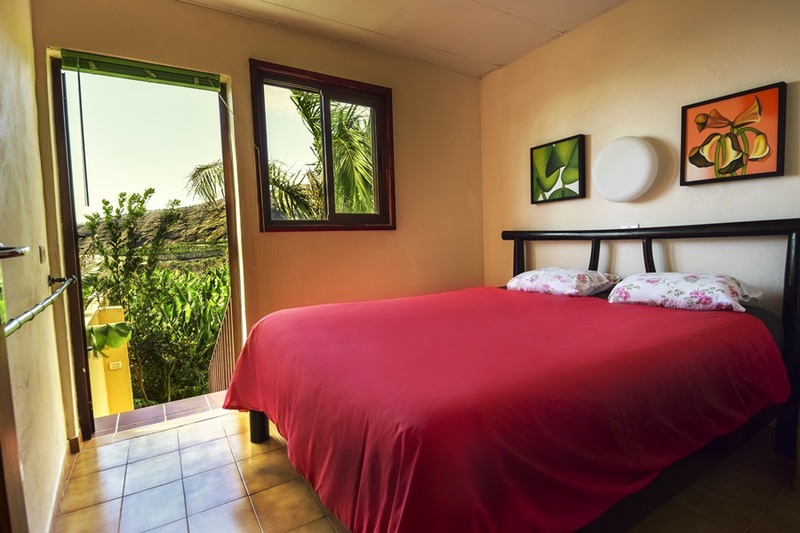 In the annexe-building are located the holiday-apartments “Gamba” and “Atún”, each giving room to a maximum of 2 persons. 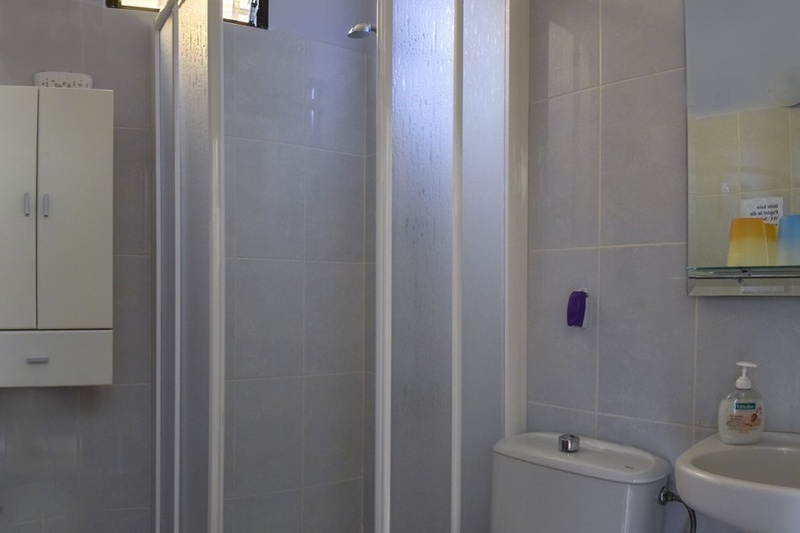 Every apartment can be rented on its own or be combined with each one of the other holiday-apartments. 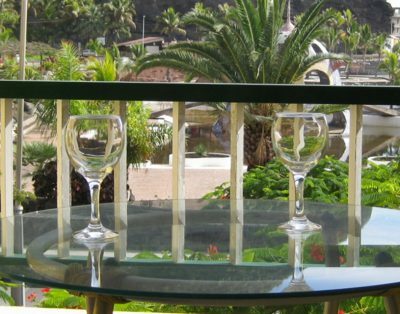 So the Finca la Cruz can offer a comfortable stay for a group of up to 17 persons. 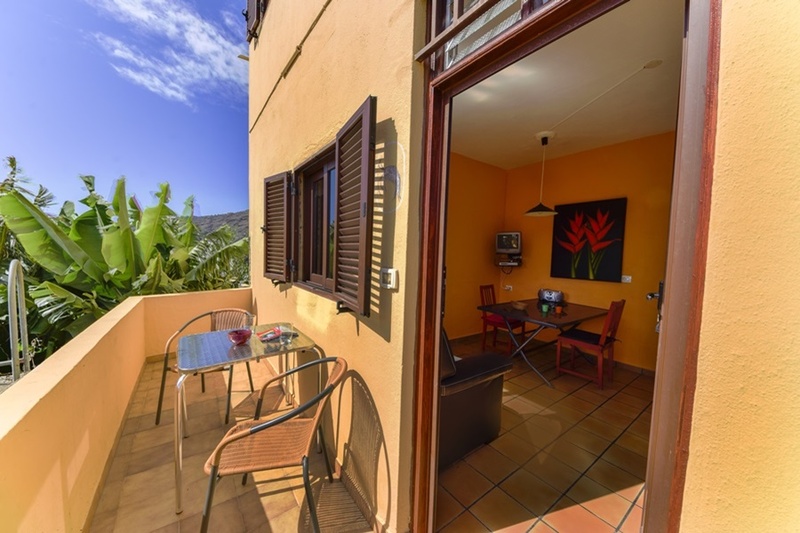 Each holiday-apartment has its separate access and its own terrace, with a superb view of the sea and the mountains. 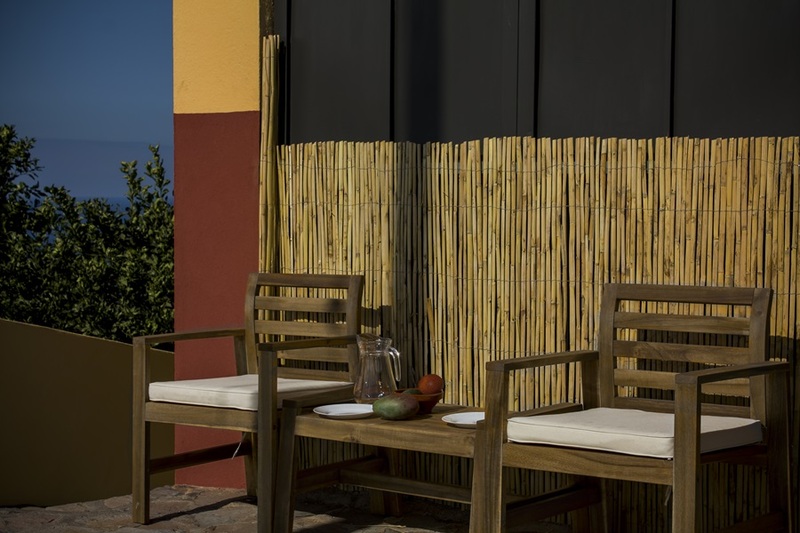 Behind the house there is a garden with a big terrace, a barbecue-space and a shaded sitting area, which can be used freely by all guests. 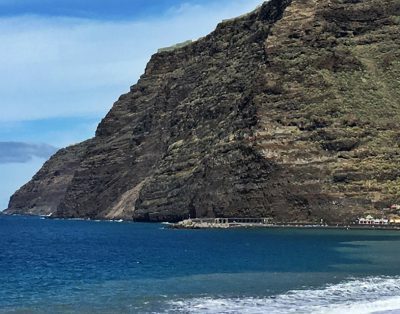 By car you can reach the centre of the village Tazacorte (with 3 supermarkets, a post-office, drugstore and banks) in 3 minutes, the largest beach of the island La Palma (where you can take a swim during the whole year) in 6 and the town Los Llanos in 8 minutes.